Do you want to look like a queen with a beautiful ankara tie on your head? Then, read the article and find out some of the best ways to tie it. 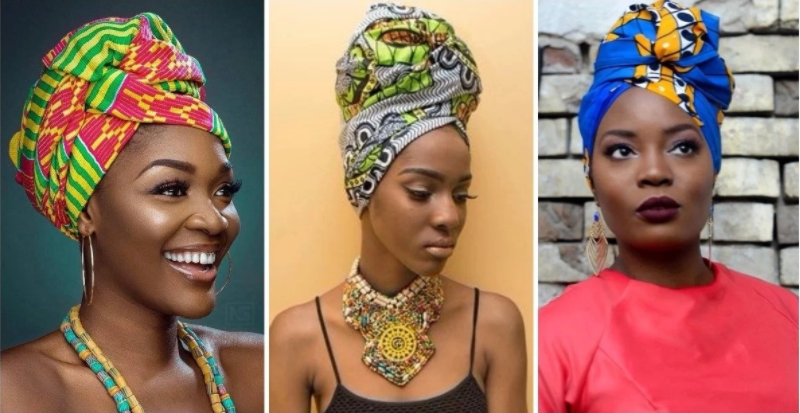 Ankara head tie looks good on every African woman and there are plenty of interesting ways to tie them. 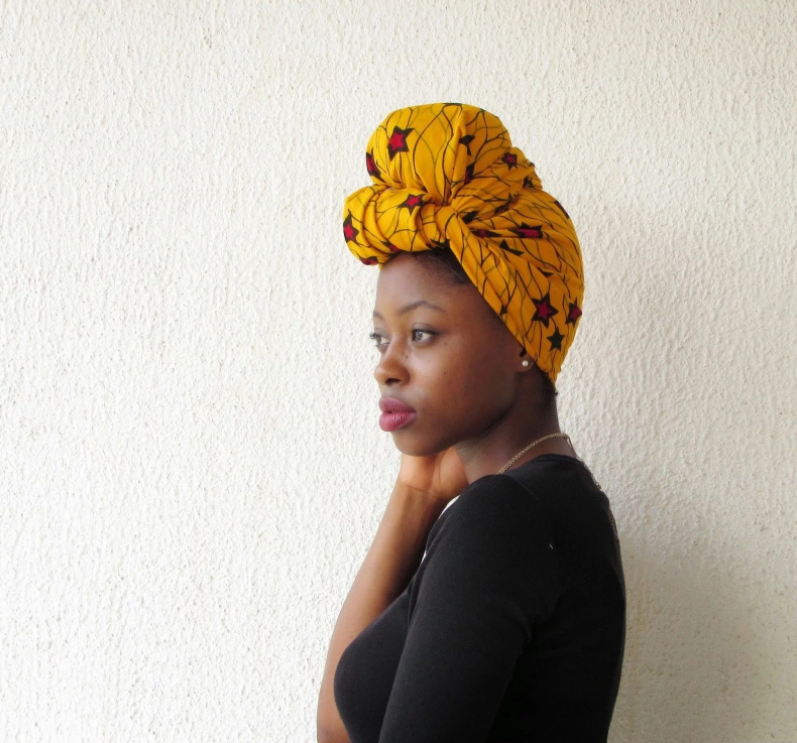 Find out how to tie head tie with ankara in our tutorial! 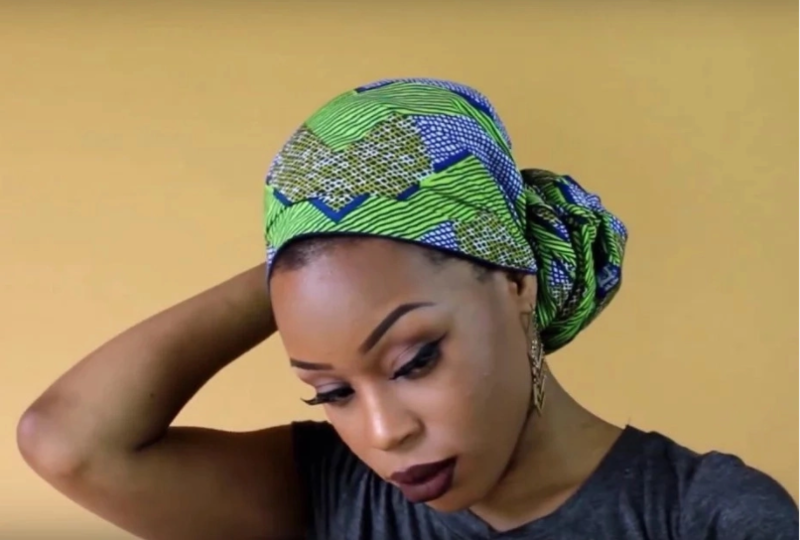 LEARN HOW TO TIE HEAD TIE WITH ANKARA! Ankara fabrics are a huge and undeniable part of African fashion style. It is bright, versatile, and good-quality – not mentioning that it is showcasing the true African spirit and beauty. Lots of fashionable items can be made of ankara fabric, and head ties are one of them. 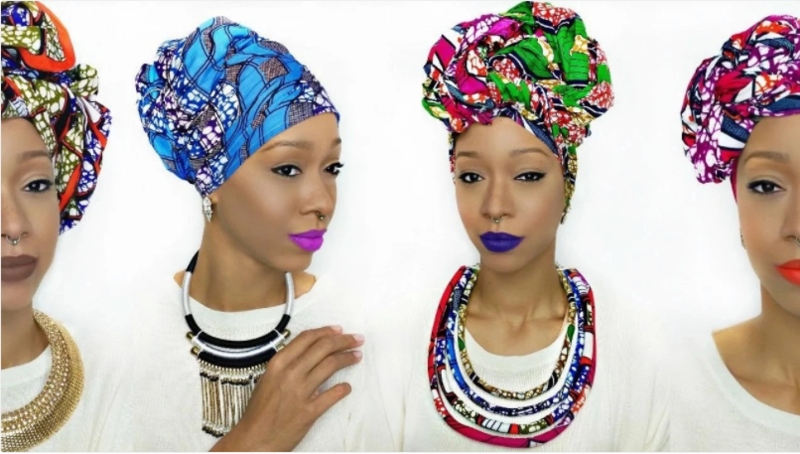 Many women like tying their head with a beautiful ankara head tie and looking like royalty. By the way, head ties for women are all diverse and unique, because ankara fabric offers millions of different options. The way women tie them on their heads also depends on the country, culture, and creativity, there are so many various ways to do it. Ankara head tie is perfect for a formal occasion, like wedding – no matter if it is yours or someone else’s. You can wear it to the other special events where you have to look on point. Some women like wearing interesting and colorful ankara ties on a daily basis. The head tie is a large part of African culture, and it shows the traditions and customs of African countries perfectly. In case you want to know some of the best ways to tie the ankara nhead tie, you should pay your attention to this article. Obviously, listing all the ways would take a lot of time, but we have chosen some of the most lovely and elegant ones for your pleasure. Check them out and develop your perfect look! This ankara wrap is quite easy and you will not have to spend much time on it. The structure of this wrap will make you stand out among everyone else. 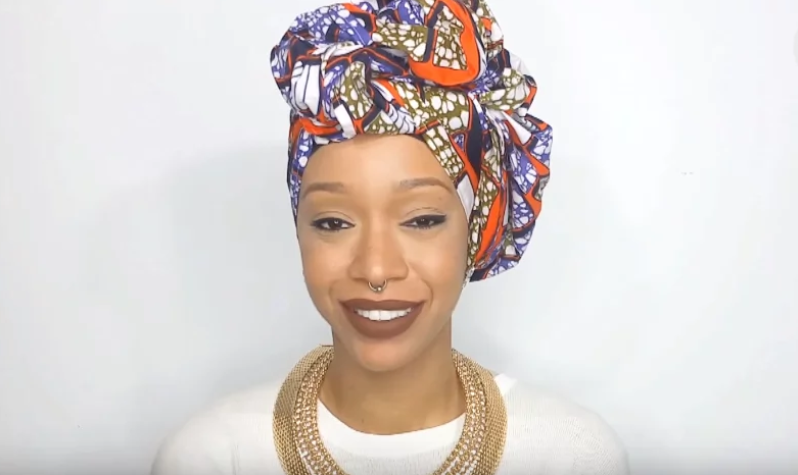 So, here is a head tie tutorial on how to tie the ankara head tie with a front knot. First, you should put your hair into a bun. Usually, this is a classic hairstyle for those who like head ties. Besides, it will add some volume to your hair and make it outstanding. Then, you should fold the tie into the shape of triangle. The next step will be to put the middle of the triangle’s longer side on the back of the head. Two opposing tie ends should be tied together in front. Then, the middle end needs to be twisted with one of the side ends, and they should be moved to the back. Afterwards, the remaining end can be tied together with the twisted ends. The ends that stick up can be tucked. Congratulations, you have your ankara head wrap ready! Yes, the front knot turban looks especially captivating, and the back knot turban will probably not attract so much attention, even though this is the whole point of it. This tie variant will still look lovely and modest, making you incredibly beautiful and radiating elegance. 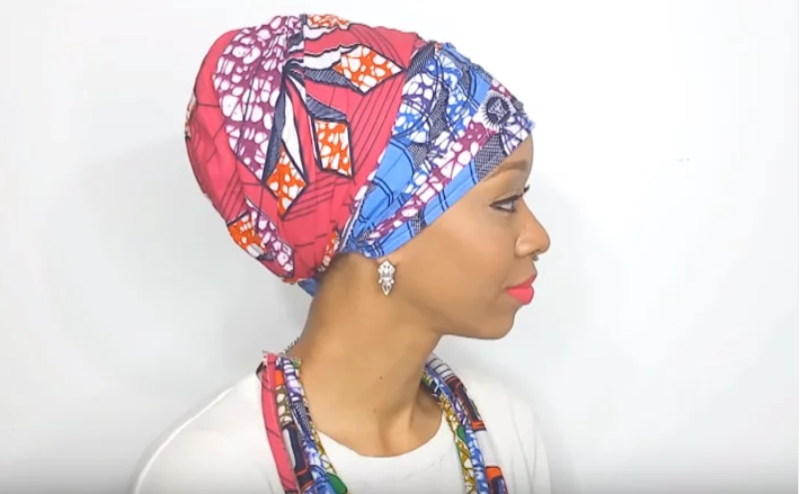 Here is the quick tutorial on back knot turban. First of all, you need to put the middle of the scarf on top of your head. Then, the ends should be twisted separately and tied around the knot. The ends have to be tucked under your bun. Now, you are ready to blow everyone’s minds with your gorgeous look! 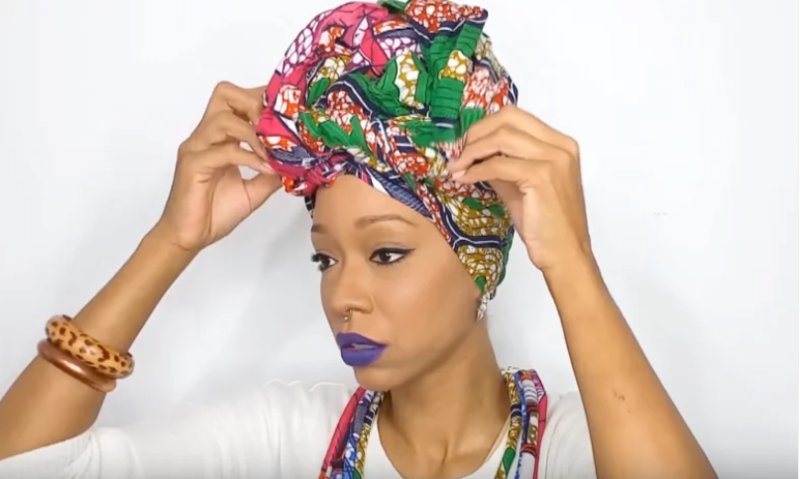 The last idea for your amazing head tie fashion will be the head wrap without knot. This hairstyle always looks neat and does not really have a complicated structure. With this style, you will always look charming and attractive! In case you have long and thick hair, there is an option to gather your hair under the tie. Put the Ankara tie’s end on top of your head. Then, wrap it around the head. For covering the under scarf area, you should leave one part of the tie hanging above. Then, you will have a chance to tuck this part of the tie the way to cover your under scarf. The final step will be to tuck the end of your tie. Congratulations, your elegant wrap is ready and you can go out and impress everyone with it! This one will add volume and extra beauty to your head. If you want everyone to notice you, try it out! First, you should wrap the scarf around your head, and then tie it in the center in front. Then, tuck the fabric into the sides of your head. Once you are finished, grab the ends of the fabric, and give your scarf some structure on your head. Take the bottom of the scarf and tuck it underneath in the back. Make sure the head tie will be holding firmly on your head. You may add some accessories if you want to complete your look and make it not just good, but amazing. You can also try this kind of wrap if you like something gentle and lovely. It will look like there is a flower on your head. See what it takes to create it! Put the middle of the head tie on your head, and make sure the ends are on the same length. This is important. Then, tie them together in the center. Tuck some fabric in on your head, to make sure it is nice and even. Take two end pieces, and twist them together. You will get something that resembles a twisted braid. Once you are finished with that, you can take this twist, wrap it underneath, and pull it up. Take the piece and fold it over. Tuck the ends in. Your look is completed! Now you look like a real princess. One head tie is good, but two will be even better! For this look, you should preferably choose two head scarves of contrasting colors. For example, blue and pink, like in the photo. This will be an additional fashion twist to your look. Do your hair into a high bun. Your fabric should have one short side and one long side, but the short side should be enough to tie them together. Once you tie them, the long side will be hanging down. The short piece of clothing should be tucked in, leaving only the long one hanging. Then, grab the another scarf and repeat the procedure, only with your long piece of clothing hanging on the opposite side. Afterwards, you should wrap one side around, then wrap another one around. Then, take two remaining short pieces and tie them together in the back. Once you have done that, they should be tucked underneath the clothing. 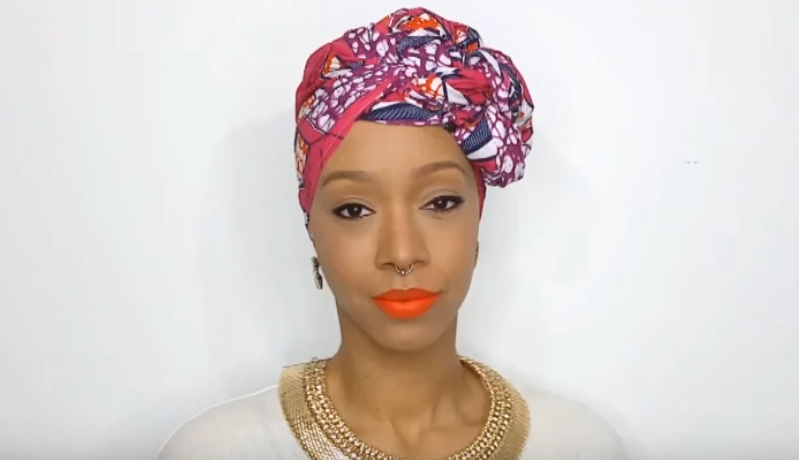 Adjust your head scarf mix until it looks good on your head. You have done the layer style wrap, congratulations! Now you can make your look richer by adding accessories. This one looks more fancy compared to previous one which was rather classic, and you can easily learn how to do it with our guide. Take one scarf, tie it around your head and adjust it in the center. Then, grab your second scarf and basically repeat the same thing. After you have done that, you should take two long hanging pieces of one scarf and braid them together with one long hanging piece of another. Take the braided piece, wrap it around and tuck underneath in the center. The next step will be taking the last hanging piece and fold it around the front, tucking it in the back of your wrap. Adjust the entire thing to your liking. This is it, you are done! If you are wondering how to choose the perfect ankara head tie, this should not be difficult. There are plenty of beautiful ties on the clothing markets and in the shops of Nigeria. They come in various colors, and are covered with different patterns. Choose the one that is the most suitable for your outfit, or the one that matches your eyes, or just the one that you fancy the most. The possibilities are endless! You have learned how to tie head tie with ankara. This is not a tedious process – you can do this really quickly, and it will be totally worth it! Nigerian women look gorgeous in the head ties made of ankara fabrics, so you can be the next one to add this little accessory to your wardrobe and follow the traditional African fashion. 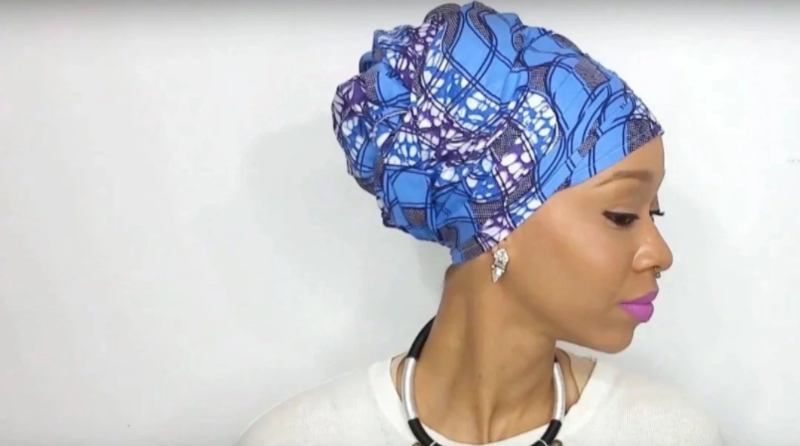 0 Response to "7 Beautiful Ways to Tie Ankara Head Tie (Photos)"